Free! - Since 2015, Multnomah County (OR) Library has been providing a way for patrons to contribute to its e-book collection, bringing authors visibility while offering compelling local content to its patrons. The Library Writers Project engages with the writing community while promoting library staff as curators of books worth your time. Since 2015, Multnomah County (OR) Library has been providing a way for patrons to contribute to its e-book collection, bringing authors visibility while offering compelling local content to its patrons. The Library Writers Project engages with the writing community while promoting library staff as curators of books worth your time. We’ll walk through the project inception and execution, and discuss the place of self-published works in collection development and the role of librarians as tastemakers. This is the second of two free webinars with content from programs originally scheduled for the PLA 2018 Conference. The two programs were cancelled due to weather-related travel difficulties that prevented the presenters' arrival in Philadelphia for the conference. The first free webinar, "Conflict as Opportunity: Library Restorative Practices for Youth," is scheduled for May 22. Separate registration is required for each webinar. Understand the value of adding local content to their collections, and the opportunity it provides to collaborate with local authors, and curate and highlight content that patrons will enjoy. This webinar is open to everyone interested in exploring issues around adding local e-Book content to their collections. 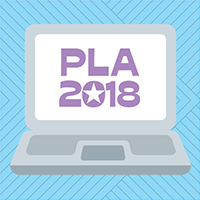 Those who planned to attend the cancelled PLA 2018 program of the same title are especially encouraged to attend. 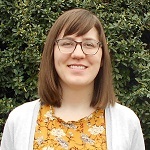 Kady Ferris is the electronic content librarian for Multnomah County Library, Portland, OR..